One premium red wine from the noble grape variety Cabernet Sauvignon.Enjoy it with red meat, dishes of game and full-fat cheese. WINEMAKING: Fermentation in stainless still vats at an average temperature of 25ºC. Long maceration in order to extract maximum color pigments and tannins. AGEING: 4 months in American heavily toasted oak barrels. SERVING SUGGESTIONS: The red wine Cabernet Sauvignon should be served at a temperature of 16ºc with full-fat cheese, red meat and game. Visual Appearance: intense dark ruby colors. Appearance olfactory: aromas of green peppers and some mineral. Appearance taste: soft, round and balanced wine. It has found a special niche and style in the Peninsula de Setubal, one of the few Portuguese wine growing regions where it can ripen to perfection. 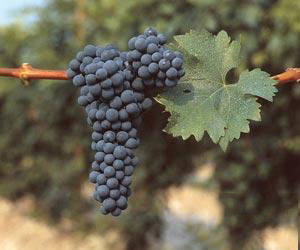 Cabernet Sauvignon is one of those varieties that can be termed “enriching”; deeply colored and thick-skinned, it can spice up blends, imbuing body and consistency to well-composed, perfumed, fruity and spicy wines. The Setubal Peninsula is a unique region, whose wines are as generous and balanced as the region that sees them born. Mother Nature was magnanimous and refined: from with the two peninsulas, “drawn” by the two largest estuaries in Portugal, was born a region rich in biodiversity and fish and shellfish with both natural and protected areas. The framing by the Atlantic Ocean and the Tagus and Sado River estuaries, combined with a deep Mediterranean influence and geological formation provide a unique set of characteristics for wine production. The Setubal Peninsula also has one of the oldest denominations in Portugal – the region of Moscatel de Setubal, whose demarcation was begun in 1907 and completed and confirmed in 1908. The Setubal DO (Denomination of Origin) region is geographically bounded by the municipalities of Setubal, Palmela, Montijo and the village of Castelo in the municipality of Sesimbra. This “terroir”, which is the cradle of the Moscatel de Setubal is unique: the joint annual rainfall of 550-750 milliliters and the 2,200 hours of sunshine poured over the sandy and clay – limestone soils is all seasoned with a handful of Atlantic breeze. For more information’s and more wines visit our web catalogue.